This week on the show, we're joined by Violet Ramis Stiel, author of the new book, "Ghostbuster's Daughter: Life with My Dad Harold Ramis." Violet talks about her approach to the book, her father's balance of private and public life, the art of parenting the Ramis way, how his legacy continues on to this day, and so much more. "Ghostbuster's Daughter" is available wherever fine books are sold as well as on audiobook via Audible and Amazon! One of the most prolific voice actors of all-time, Maurice LaMarche joins the Crossrip this week! Chris caught up with the voice of Dr. Egon Spengler from The Real Ghostbusters and Extreme Ghostbusters (and, as it turns out, a surprising other voice revealed in the show) at Fan Expo Vancouver. LaMarche talks about his early years in the entertainment industry, being a Ghostbuster, and a whole lot more. In addition, we've added some outtakes and archival audio, making this a holiday mix tape of sorts, all about the voice of Egon, stunt burper, master impressionist, and the best Orsen Welles since Orsen Welles. This week on the show, we're incredibly honored to be joined by video game designer, programmer, David Crane. 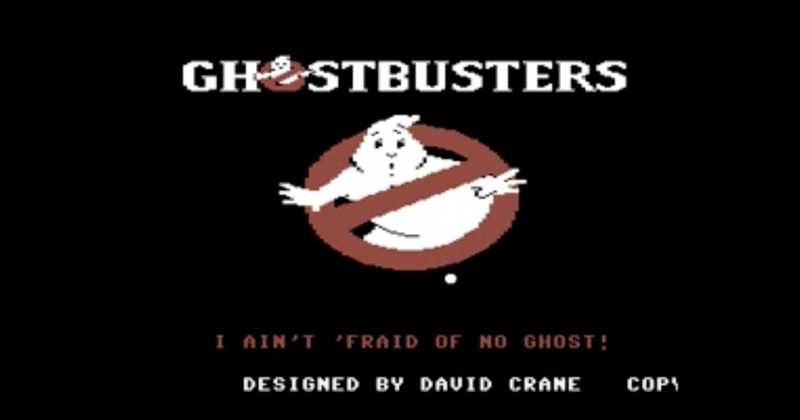 Crane, one of the co-creators of Activision and the man behind Pitfall, A Boy and His Blob, among countless other games was also responsible for designing Ghostbusters for the Commodore 64, Atari 2600 and multiple other ports. Over the course of the hour, we talk Atari's early days, designing games for the 2600, and in-depth on the Ghostbusters title. Join us, won't you? This week on the show, Troy and Chris chat with author and illustrator Jordan Monsell, who has a Shakespearean adaptation of the film we all know and love, Ghostbusters. Monsell talks about his love for theater, his encyclopedic knowledge of Shakespeare, and how he approached adapting one of the most quotable movies in history into the Old English prose of Shakespeare. The book is available now on Amazon and Kindle, check it out after you listen to ye olde podcast! Your ocular receptacles are not deceiving you! This week on the show, we're incredibly honored to be joined by none other than Ivan Reitman, the Director and Producer of Ghostbusters himself. And since this is our 100th episode of podcasting, we have a special treat as a bonus: a quick chat with Dan Aykroyd as well! Join us as we talk about the state of comedy, the longevity of Ghostbusters, and the what the future holds on yet another jam-packed edition of the Crossrip! This week on the show, we talk with the German team behind the Playmobil toys and trailers! Joining us around the 30 minute-mark are Alex Ruff (Licensing and Marketing, Product Management at Playmobil), Peter Ohegyi (Project Management, Animated Shorts and Games Apps at Playmobil), and Regina Welker (Creative Director at Woodblock) to talk about the upcoming line-up, the functionality and design of the toys, the future, and a little behind the scenes on the amazing four "reveal trailers" the team created to announce the toy line. But first, some quick news including Saturn Award nominations, Ghostheads out doing good deeds, and more! This week, on an all-new "This Ghostbusting Life" sit down for a sushi lunch with Robin Shelby. She's played a Troll in Willow, Slimer in Ghostbusters II, and most recently was the voice of "Lady Slimer" in the 2016 reimagining of Ghostbusters. But did you know that she also was a character at Universal Studios? And played Oliver on stage? Pour yourself some soy sauce, get those chopsticks ready, and enjoy a meal with us as we talk to Robin Shelby about her life in show biz! On this week's show, Troy and Chris speak with Jesse Wilson, co-founder of the For the Win project about an upcoming event they're planning for one lucky Ghosthead. If you want to contribute to the fundraiser for Braeden's day as a Ghostbuster, go to www.gofundme.com/braedenforthewin or visit forthewinproject.org. This week we're celebrating the release of a new Ghostbusters film with coverage from the "slime carpet" in Hollywood, CA. In a recap of the live-stream feed that was featured on the Ghost Corps Facebook page, join Troy and Chris from the red carpet as they talk to Paul Feig, Katie Dippold, Kate McKinnon, Karan Soni, Bess Ross, Ray Parker Jr., Ernie Hudson, Chris Hardwick, No Small Children, and more! Special thanks to Eric Reich and Katie Lovick for all of their help and hospitality and for making this show possible... and to Ivan Reitman, sorry that we made you sound like a chipmunk on the livestream, we blame Facebook 100%. This week on the Crossrip, we're joined by the minds behind BBQ Films' experience in Brooklyn, New York: Lenny Platt, Gabriel Rhoads, and Lauren Lickus! Plus a contest sponsored by Loot Crate! But in the first hour, catching up on the latest news (because there's a whole lot) - a new single by Elle King for the new Ghostbusters film was released as part of the new soundtrack announcement, Troy and Chris dissect all the news there. Global Ghostbusters Day is coming up on June 8th, the guys run down everything that entails including old and new cast members meeting in one place on the Jimmy Kimmell Live show this coming Wednesday. Chris is SUPER caffeinated and excited to have gotten his first batch of Cryptozoic trading cards, so buckle up because he's going to break it down. The boys talk about that Dan Aykroyd comment and a certain TV spot as well as Tom Zhou's breakdown of the trailer editorial. Lots of merch news including Mattel exclusives and puzzles galore. Stay tuned for news about how you can win a free limited edition Ghostbusters Loot Crate and then in our second hour, hear how a warehouse in Brooklyn was transformed for the ultimate Ghostbusters experience by the team at BBQ Films! This past Wednesday, Sony and Ghost Corps opened their studio lot doors to fans to show them the new Ghostbusters (2016) trailer, during that event a Q&A was held with Ivan Reitman, Paul Feig and Katie Dippold to discuss the new film and beyond. Thanks to the folks at Sony and Ghost Corps, the Crossrip is so glad to share that Q&A experience with everyone. Now that you've seen the trailer, share in the experience that a lucky few were able to have in Los Angeles and listen to the three main architects of the reinvigorated franchise discuss their creative decisions, their love and respect for the originals, and a variety of questions asked by the fans! This week, Chris dives back into the Proton Charging vaults for an interview he did with Anthony Bueno, the filmmaker behind the Ghostbusters documentary "Cleanin' Up the Town" - long in the making, the documentary covers the making of the original two Ghostbusters films and features interviews with cast, crew, and participants from the films including the late Harold Ramis and David Margulies. Check out "Cleanin' Up the Town's" crowd funding campaign coming soon to hear how you can help this film cross the finish line so we can all see it! 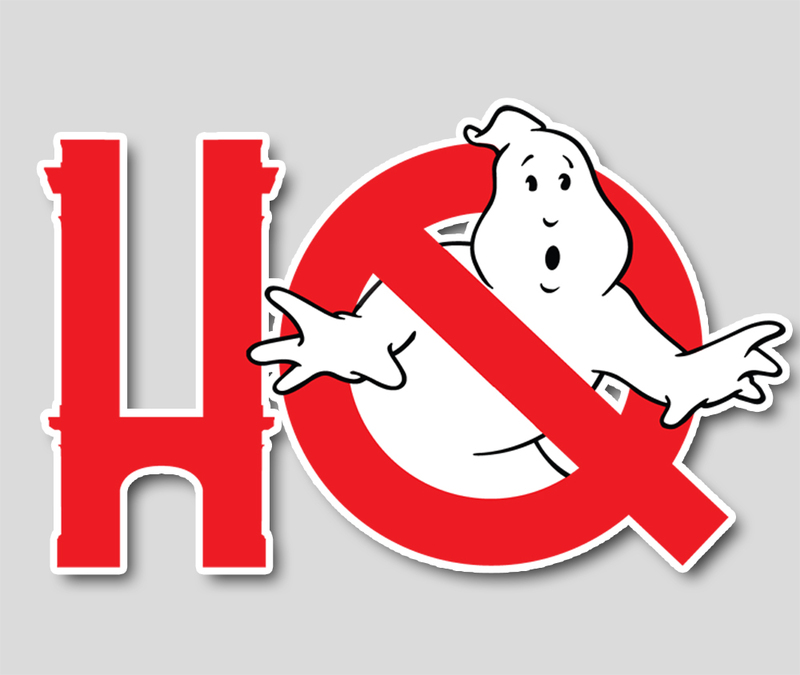 For this week's show we reach back into the Proton Charging vault for an interview with Michael C. Gross, Associate Producer of Ghostbusters (1984) and Executive Producer of Ghostbusters II and The Real Ghostbusters. Gross joins Crossrip co-host Chris Stewart at the time of the first film's 30th Anniversary to discuss his origins with the Lampoon, Heavy Metal, and Spacehunter then also talks about the impact of the No-Ghost logo on popular culture. Another interview that's not to be missed for fans of Ghostbusters and comedy! Good day, and welcome to episode four. 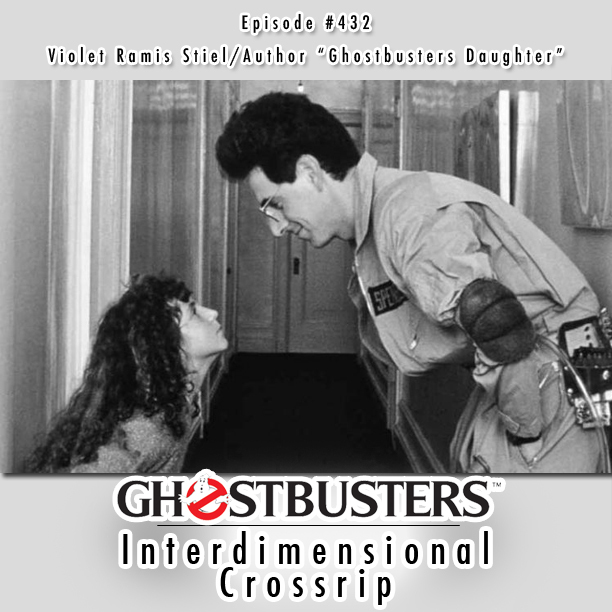 We are so unbelievably excited to welcome Rick Moranis as our first guest on the Ghostbusters Interdimensional Crossrip! After a brief discussion on the current news including the release of IDW Comics' "Mass Hysteria" hardcover, Paul Feig releasing the names of our four new heroes, and a little on some interesting prop building observations, Crossrip Co-Host Chris Stewart talks one-on-one with Moranis about why he took a hiatus from the film industry, the audition process for the first Ghostbusters, and a whole lot more.